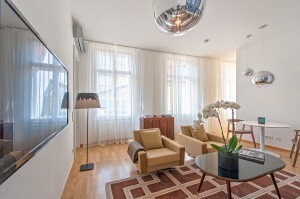 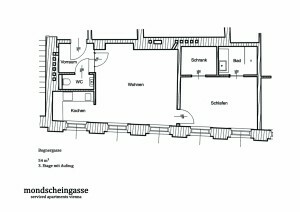 This first class one-bedroom (one bathroom) apartment is located directly in the city center of Vienna in the 1st district. 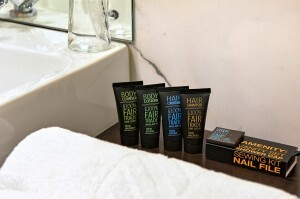 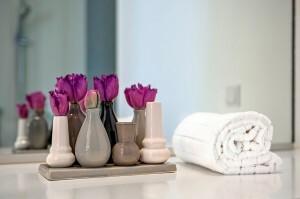 It is fully furnished in a contemporary, elegant style of high quality, making it comfortable for any length of stay. 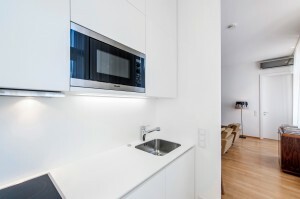 The apartment offers a living room with dining area and fully equipped kitchen, a bedroom with walk-in closet, a bathroom with flush fitting shower, a separate toilet and an entrance area. 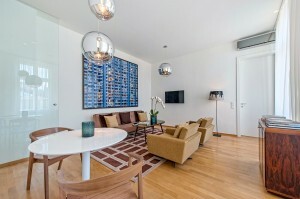 Also the living room and the bedroom are equipped with AC. 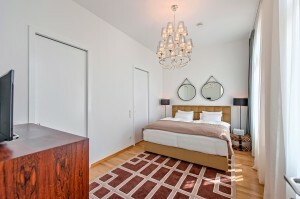 Particular emphasis was placed on quality and modern furniture with exclusive materials, artistic design and exquisite vintage individual pieces. 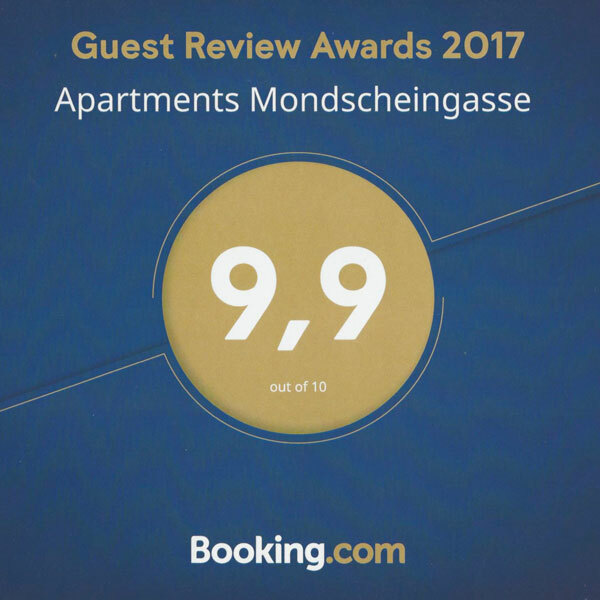 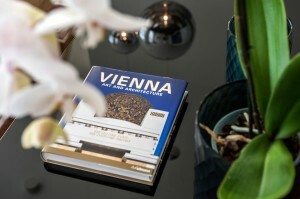 If you do not want to miss the comfort of a personal and well-designed apartment during your stay in Vienna, you will feel comfortable here. 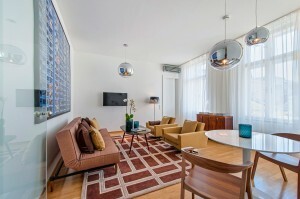 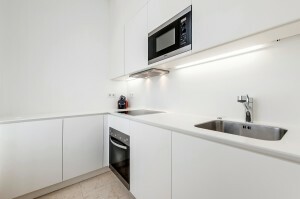 The apartment has a free high speed Wi-Fi and LED-TVs with cable TV in the living room and the bedroom. 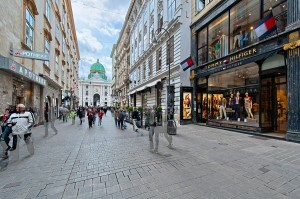 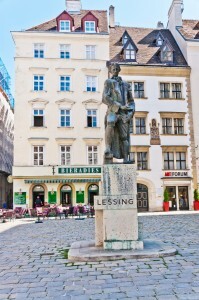 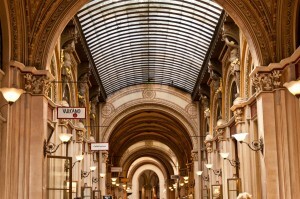 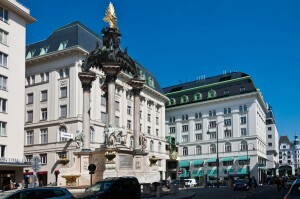 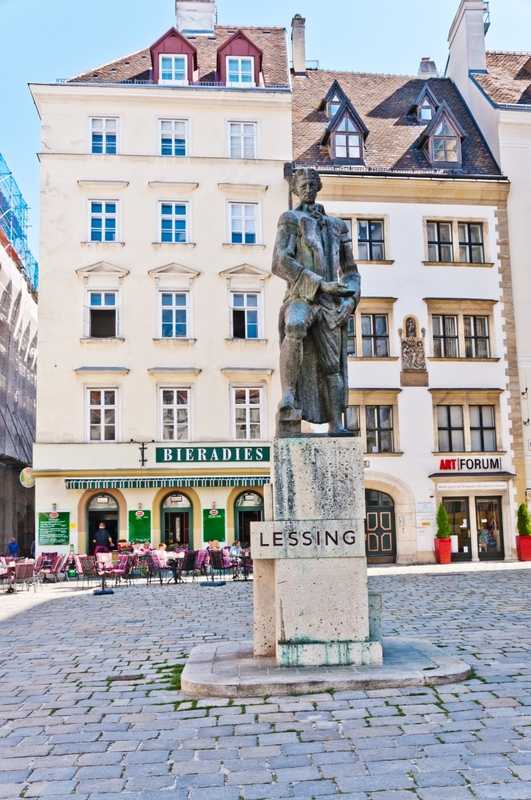 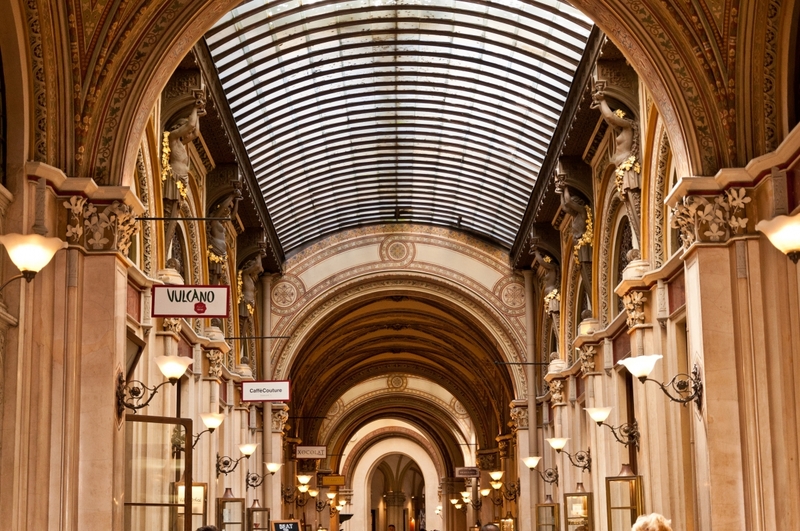 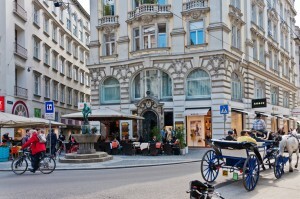 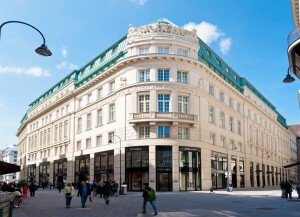 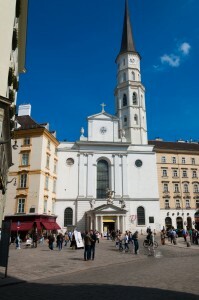 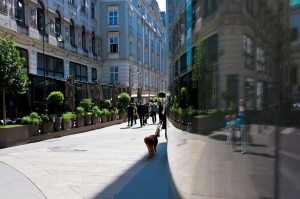 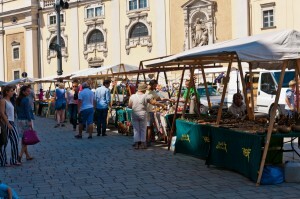 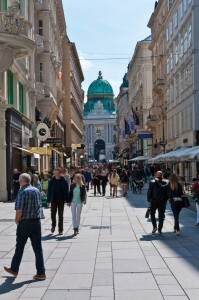 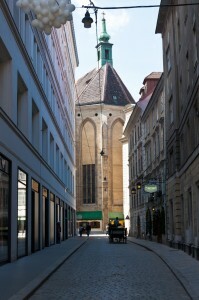 Within short walking distance are the most famous shopping streets in Vienna around Graben, Kohlmarkt and Tuchlauben. 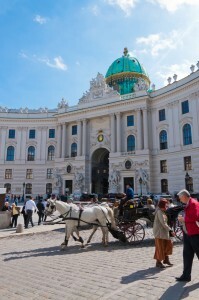 The apartment is set next to all sights of the 1st district like St. Stephen’s Cathedral, the Spanish Riding School, Heroes’ Square in front of Hofburg Palace and many more. 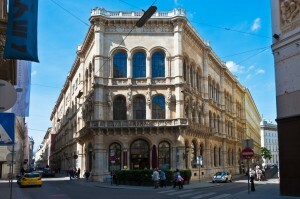 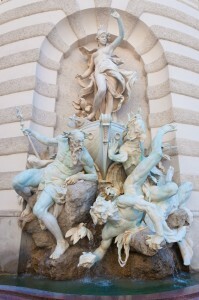 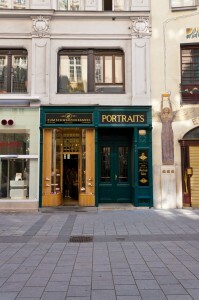 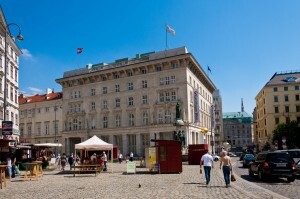 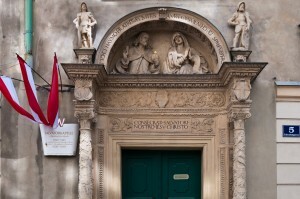 The Bank Austria Art Forum, which is known for its changing exhibitions is only a few steps away from the apartment. 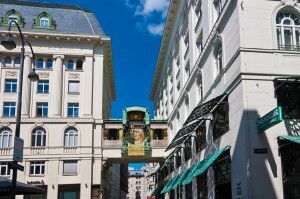 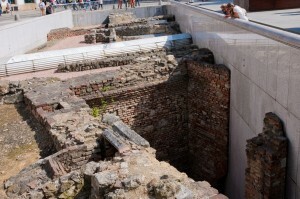 A bus stop is located only a one minute walk from the apartment, the underground is within short walking distance, too. 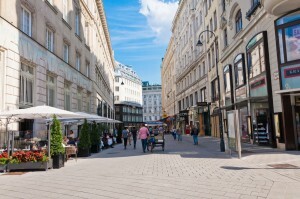 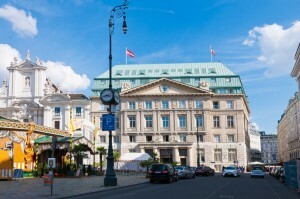 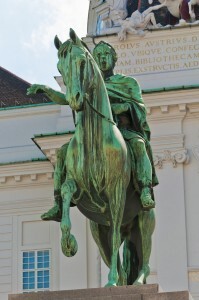 In addition, some of Vienna’s best restaurants as well as many small local eateries and grocery stores, like the well-known Meinl am Graben or the Schwarze Kameel, are nearby. 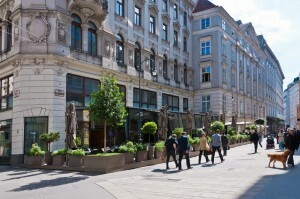 The Danube Channel, Vienna’s longest biking and jogging track, is located very close to the apartment. 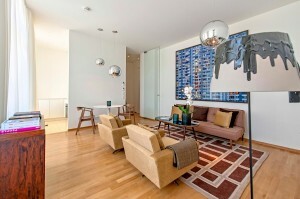 All in all an exquisite home in the heart of the city.